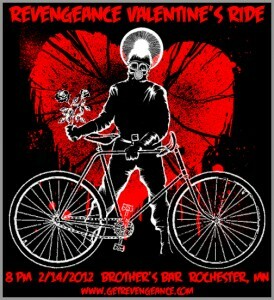 Don’t forget the Revengeance Valentine’s Ride is tonight. If you haven’t already seen it then watch this cool video. Even if you have seen it do the guy a solid and watch it again. Prepare yourself for the first ever Revengeance Valentine’s Ride. Use the link on the right to visit the ride page for more information.